It is that time of the year again where you start a new chapter in your life, start a new year, start a new school or start a new career. In our case we will be starting a new journey or two. We actually decided to start the year off by giving away a hamper from one of our favourite brands, you guessed it…Nutristart. If you have followed us on Instagram, you would have seen that we often include Nutristart products in our photos. The reason behind this is that we simply cannot get enough of how convenient it is to just open a bowl or have a bite while living our very busy, active lifestyle. Nutristart is the healthy, quick and easy solution to hungry kids and Hangry (angry because you are hungry) adults. Kids love it and adults simply can’t get enough of the oats/muesli combination of their cereals. The active range is made to just add milk and go. The Lollos & Lettie range is made for kids to join their favourite characters to live a healthy lifestyle and the Hello range is for the sophisticated who loves granola, bran flakes and dukkah. For people like myself, there is the Peanut Butter Bars (my favourite) and the extra dark midnight cocoa – head on over to our Facebook Page to see what we have done with some of their products over the holidays. You could be the lucky winner of some Nutristart products. These products had me hooked the first time around and I can guarantee that the same will happen to you! Work, travel, play, school or sport, you will always be looking for your Nutristart! Competition closes 31 January 2019! 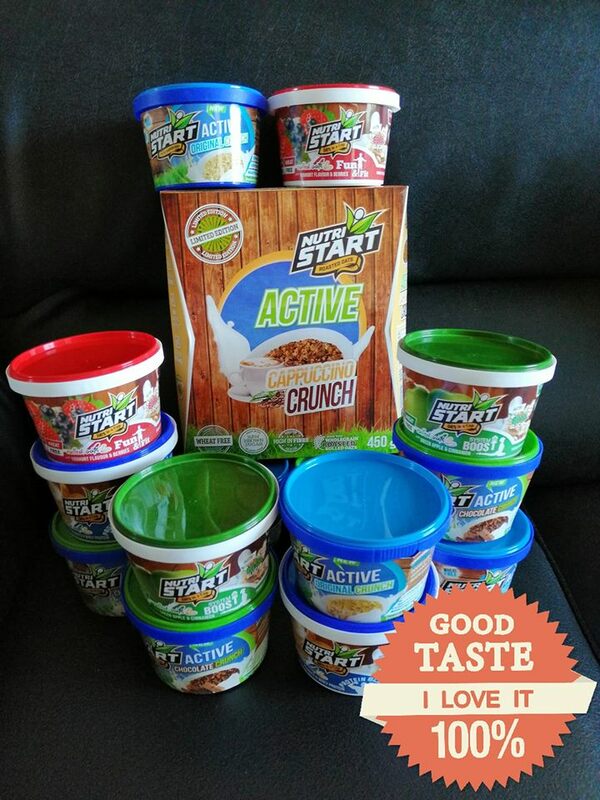 I enjoy eating the Active #nutristart cappuccino crunch with plain yoghurt. I haven’t had any Nutristart breakfasts as yet but I’m a lover of cappuccino..
My favourite breakfast is Muesli with yogurt and fruits. My favourite breakfast meal is granola with plain yogurt and whenever I am in a rush I just grab a breakfast bar. I love the Nutri start breakfast cereal. Especially the Oats. It’s roasted oats that are full of fibre! It’s super delicious and it leave me energized for the rest of the morning..